A large part of our vision when starting the food cooperative was supporting local farmers. 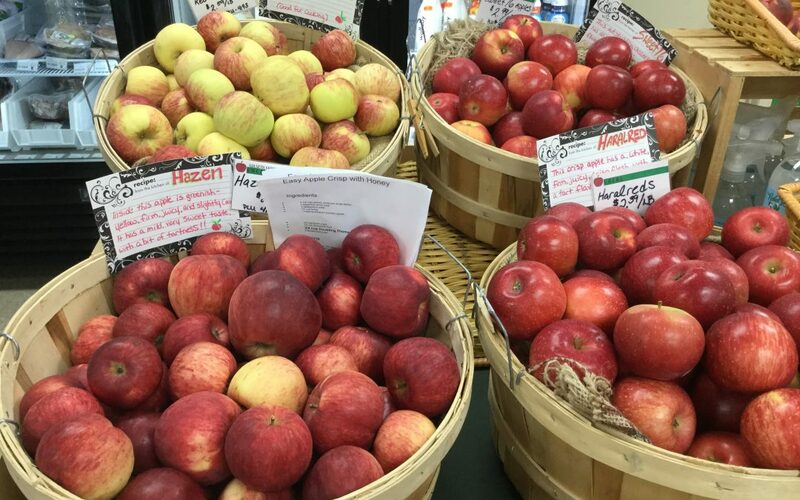 Buying local is a way to not only a way get fresh and healthy food, but also support local businesses instead of far-off corporations. At our one-year mark, we are proud to say that nearly a quarter of all our sales went to vendors within 50 miles of the store! That means that your spending at the co-op put about $50,000 directly in the pockets of local farm operators and businesses. This is a number we should all be proud of after only a year of operation and reason to continue to support the co-op in your daily shopping. This number only includes our local vendors and does not include our local service providers and sales to those regional businesses we also feature outside our local region. 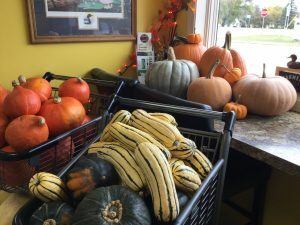 Lake Ida is one of our local farm vendors. 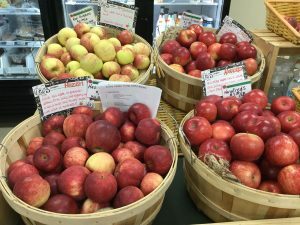 Rick and Sharon Julian have been growing near the shore of Lake Ida since 1994, growing 9 varieties of apples, each with its own flavor profile. We have five varieties in the co-op right now, including Hazen,Red Duchess, Northern Lights, Haralred, and the awesome Sweet 16. This is just one of many items now on member special. 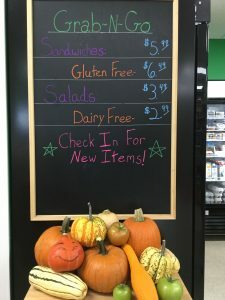 Since we started our deli this summer, we have heard many times about the need for gluten freen options in Detroit Lakes. Well, wait no more. We have gluten free sandwiches on the menu and would love your feedback on what we have cooking. Please stop by and give them a try. Come a pick up a punchcard today to get started.